1. DME Removal Column at BST Thailand. April 2007. 3. GT-BTX Extractive Distillation Unit at JSC Mozyr Refinery.December 2006. 4. 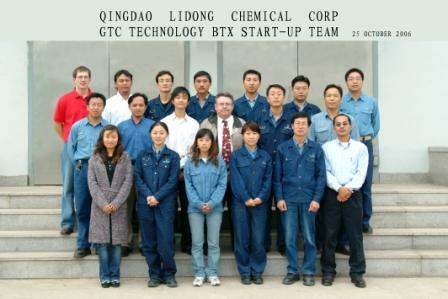 GT-BTX Extractive Distillation Unit at Qingdao Lidong Chemical Corporate. October 2006. 5. GT-BTX Extractive Distillation Unit at Indian IPCL, April 2006.